precision optic camera lenses for CCTV cameras allow crystal clear images to be recorded by your security cameras. 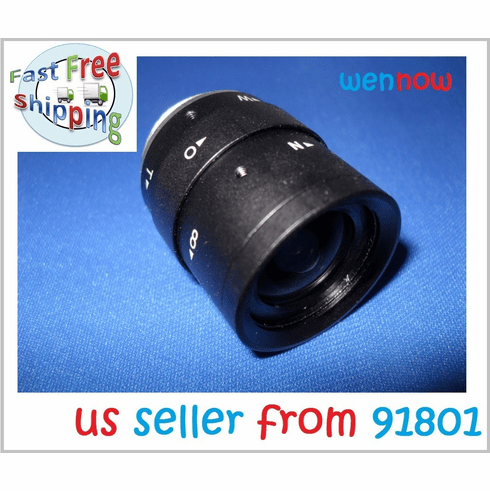 This 1/3" CS-mount lens is a great simple solution to use with any of our brick style cameras. IR corrected lenses employ specialized optical elements to help eliminate focus shift if you are using in conjunction with "True" Day & Night cameras. This means sharper images and better video quality, making this lens versatile for multiple setups. Varifocal Lenses feature a manually adjustable focal length to allow you to zoom and fix your lens to a specific area you want to monitor. Manual Iris allows adjustment to be made on the lens itself duing setup.